Merchant Marine Radio Officers at work. 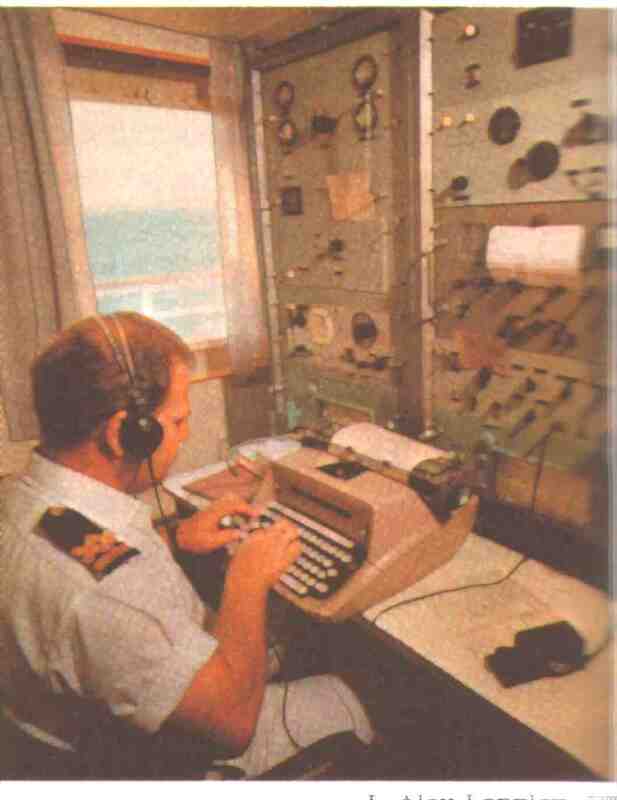 In 1999 Maritime Radio Communications changed around the world and the use of W/T (Wireless telegraphy) was abolished. ´The Merchant Marine Radio Officer was not needed anymore and his service on board ships ended. After a few years Radio Officers of several countries got in touch with each other to follow up and discuss new and old radio technologies. This site will be a support for them so they have the possibility to exchange information. The group will observe developments in communications at sea, because some of us still believe that the use of Morse Code is easy, fast and reliable - obsolete only for those who don’t understand that the obsolescence of W/T is due only to poor and distorted information by the "media". On this website there is a section dedicated to R/O's pictures and vitas, if you whish to be included on the list please send to the webmaster your photo and curriculum, it will be a great pleasure to have you on this site. Copyright(c) 2007-2008 Radio Officer. Tutti i diritti riservati.